Here are some ideas to highlight the potential of whichever type of chatbot you decide to use. Optimizer bots offer tremendous potential to accomplish tasks pertaining to e-commerce. We advise any business with an e-commerce functionality (platform) to use a bot. Instead of using different landing pages to process online transactions, take advantage of the functions these bots provide. Optimizer bots are capable of walking the user through the entire transaction process: receive payments, setup shipping, and handling, and send a receipt via email. This offers a more simple, streamlined experience for users instead of having users engage with multiple web pages. 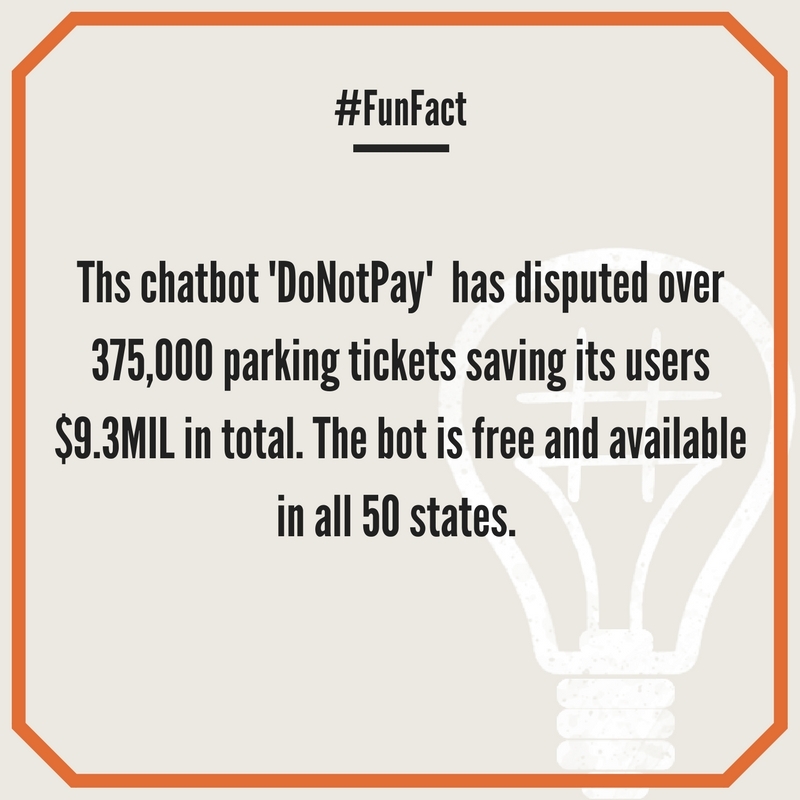 If a brand wants to increase awareness this would be an excellent bot to employ. This simple bot should offer a fun interaction with no real other purposes. For example, a book store could have a “Book of the Day” in which a bot is programmed to tell users about the book, its author, and the store’s price for that book. The function is simple yet effective. If a user attempts to expand the capabilities of the bot, we suggest fun and witty programmed responses that bring the conversation back to its original topic. For example, a fashion designer can use bots to inform his customers of upcoming fashion trends. Poncho is another good example of proactive bot functionality: Poncho is a bot (within its own app) that alerts its users of the day’s weather and changes in the forecast. This bot provides information far enough in advance for it to be useful. A bot updating you on the rainy weather while you’re already walking through the rain isn’t too helpful. These are great conversational bots. Mainly used for interactions, social bots encourage a group of people to engage with the bot and each other. Like all bots, social bots must perform a function that benefits its target audience. The tourism industry would be a great industry to use this technology: a group of friends discussing an overseas vacation in a group chat can plan their trip with a bot. The bot can suggest flights, attractions, hotels, and upcoming events at the destination within the group chat. 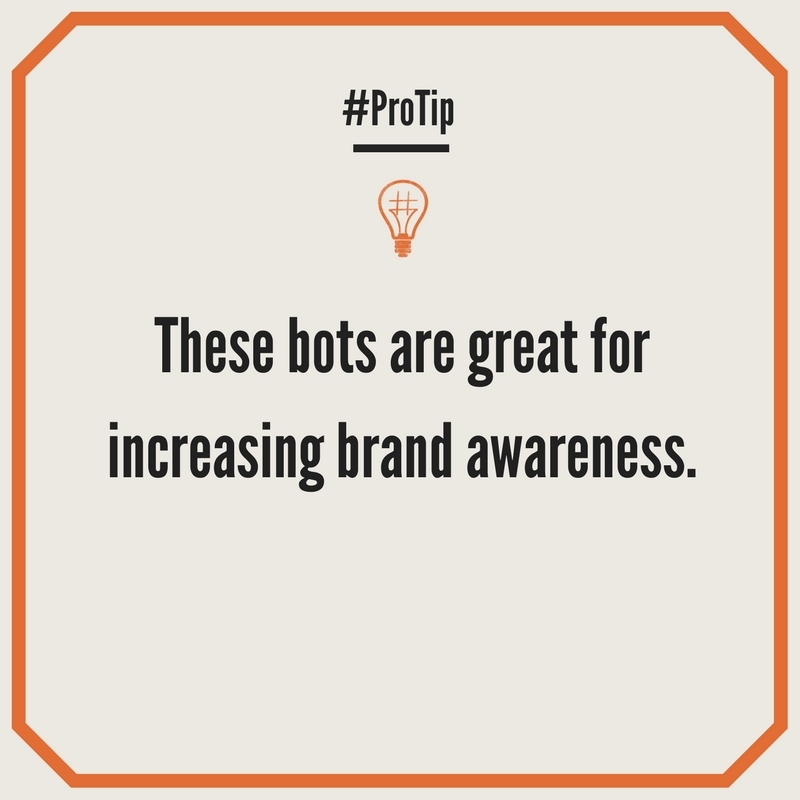 The most important thing to remember about social bots is their benefit to a group setting. Shield bots are great for removing yourself from unwanted interactions, such as handling customer complaints. Don’t expose an employee to a customer’s rage: avoid a volatile with the help of a bot! The best way to use this type of bot is when tasks are routine since you don’t want to over complicate the jobs of these bots. Shield bots have a wider range of capabilities than unemotionally dealing with consumer rage. Another function that shield bots excel at is filtering. An agency can equip a bot with preset questions to identify potential website leads, weed out casual browsers and funnel them both to the proper channels, thus saving the agency time and money through the Shield bot. The chatty is a true balancing act: how do you find the sweet spot between wanted and unwanted interactions? 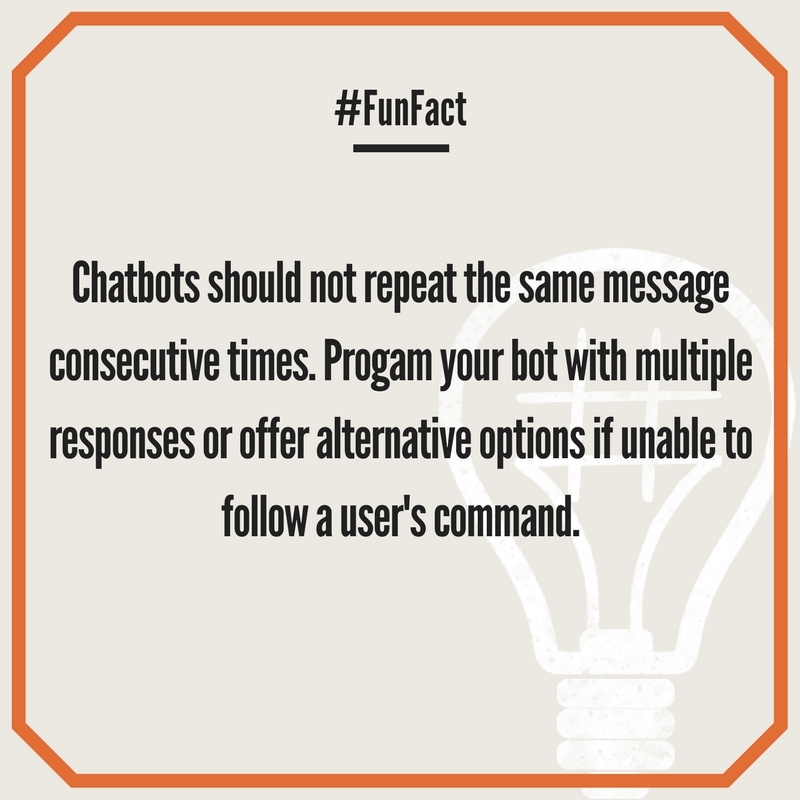 Since the functionality of “chatty” bots is to chat, it’s hard to find the appropriate time to use them. You never want to flood the user with useless notifications. The aim of chatty bots should be to make enjoyable conversation. Comedy Works, a comedy club in Denver, could use Chatty bots for their website: every time a user opens up a new web page, the bot tells a joke or highlights an upcoming act with a link to a Youtube video. It’s important to make these bots sophisticated enough to handle the appropriate dialogue but simple enough to accomplish its purpose. If you want high powered functionality, the super-bot is the way to go. They can accomplish complex tasks and entertain users with their ability to communicate. Super-bots are the best of both worlds. If you’re not aware of the capabilities of these bots take Apple’s Siri, Amazon’s Alexa, or Windows’ Cortana for example. Each bot is an interface complex enough to entertain users (Alexa can sing songs to you!) as well as point them in the direction of the nearest Japanese restaurant. We hope this blog was useful and informative. If you have any questions, suggestions, or recommendations please provide them below. We’d love to hear from you!